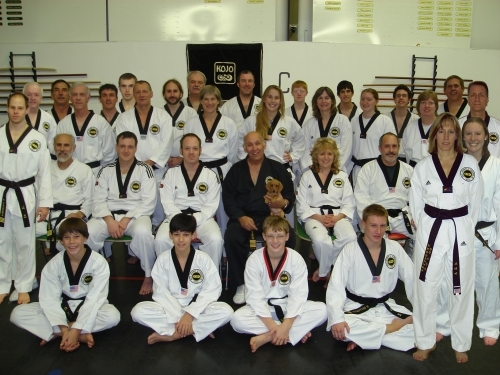 Teaching children and adults Traditional Taekwon-Do and Martial Arts Self Defense in the Burlington, Vermont area for over 42 Years. We are closed for all classes on Tuesday and Wednesday February 12th and 13th, 2019. Sorry for the inconvenience, and drive safely. See you on Thursday! The Friday 5:30 to 6:30 class has been moved to Wednesdays and is for adults only. The next colored belt testing is scheduled for Friday, February 8, 2019 and will start at 5:30. (all requirements must be completed one week in advance). Colored belt promotions are awarded the following Saturday, at the 9:00 class. Classes being conducted mornings, noon, afternoons and evenings, six days per week. Over 75 Classes per Month! Take as many classes as you want! No contracts! If you have ever given thought to training in a martial art but have had reservations or felt self-conscious, this might be the environment for YOU and NOW is the time to give it a TRY. Stop by and see us or get started now! No experience needed!